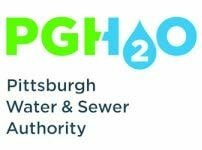 Under a pilot program agreement with PWSA aimed at reducing lead leaching from drinking water supply pipes, Pipe Restoration Technologies, using its patented ePIPE technology has completed the in-place coating of “private side” service lines at six Pittsburgh area homes. ePIPE technicians on the job in Pittsburgh. The patented ePIPE process involves restoring pipes in-place, with an application of an epoxy barrier coating resulting in a restored epoxy lined piping system. The process provides a solution for slab leaks, pinhole leaks, and the reduction of lead leaching from lead pipes and lead contributors. LeadSmart is an on-site lead testing and lead remediation service, leading to a property being LeadSmart Certified. Service providers are located in the U.S., Canada, Mexico, Hong Kong, UK and Europe.